Mahendra Singh Dhoni is a huge name in cricket fraternity. He led India to their first ever World Cup victory at home and their second overall World Cup victory after 1983. In that way, Dhoni is always special for Indian fans. His wicket-keeping abilities, especially against the spinners, is almost unmatched. Most of the batsmen find it tough to play when MS Dhoni is behind them. He has extraordinary skills to stump any batsmen in a matter of milliseconds. The ICC World Cup 2019 might undoubtedly be the last World Cup of Dhoni. He is 37 years old now with many accomplishments to his name. He would like to put up a good performance in his last appearance in the marquee event before hanging up his boots. The former Indian captain has earned a lot of respect throughout the years from his teammates and fans alike. Even most of his rival wicket-keepers respect him off the field. These players are divided by nations but are united by their love for the captivating wicket-keeper-batsman Mahendra Singh Dhoni. 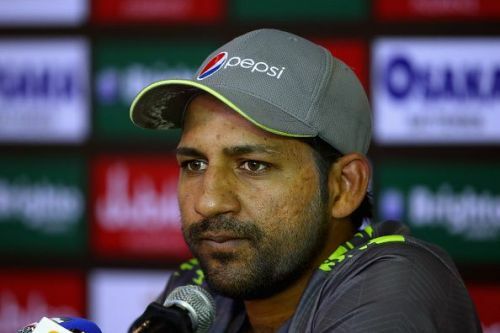 Pakistan captain Sarfraz Ahmed would be leading his side in the 2019 World Cup. Sarfraz had quite a success as Pakistan captain over the years. He led Pakistan to their first ever Champions Trophy victory in 2017. India and Pakistan have quite a rivalry in international cricket. The matches between the two political rivals are seen with awe and enthusiasm by millions of cricketing fans worldwide. Players from both the sides show such a passion during their matches. Off the field, Sarfraz is actually a fan of MS Dhoni who idolizes him much like many cricket fans. He gets inspired by Dhoni by reminiscing the way he led the Indian side in all three formats. 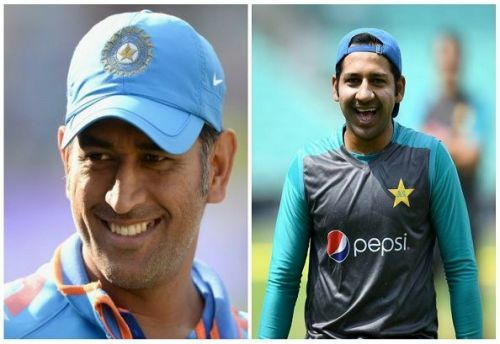 "MS Dhoni has led his side well as a captain in all three formats of the game, so I definitely do get inspired by him,” the Pakistan captain had said in an interview.